Also, I'm on a Mac, not a PC. I use Kid3 https://kid3.sourceforge.io which is free and Metadatics http://www.markvapps.com/metadatics $9.99 in Mac App Store. I mainly use Kid3 for quick tag edits and Metadatics for bulk tag and album art changes. I just one to make shure everyone knows how happy I am with the 3.01 staging! Its really credible and fun! even on SE i think its awesome! Also detail retrieval its way better than 2.0 you can really pinpoint sounds more acurately, just need some more bass but im planing to go balanced maybe that will help. If anyne has some good iem sugestions. i will be thankfull. I mostly fly Alaska Airlines to the tune of 75-100K miles per year. 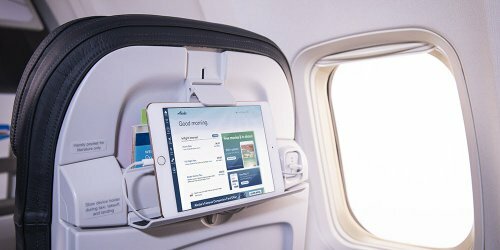 Alaska is going to obsolete built in IFE and go the route of BYOD so you can use your tablet, PC, phone to watch videos via wifi streaming. They are even changing seat backs with adjustable docks to hold your tablet or phone so you don't have to use your tray. I think this is the future for IFE and makes for a better experience, especially the audio. Now, you can use your Sony DAP in either DAC mode hard wired to your tablet, or wireless with BT receive mode. In either case, audio will be orders of magnitude better than the noisy, crappy built in IFE audio. To to mention, I've come across numerous built in 3.5mm jacks that were completely worn out and in some cases have a broken off tip still embedded inside. The built in screens of most IFE systems are really bad too compared to your average tablet. IMHO, wireless is the way to go so you don't have to deal with cables from seat to seat back. In fact, the new seat backs are designed to plug your tablet of phone into a USB port to keep the battery fully charged. I think this is a great evolution that gives a longer useful life of Sony DAPs. There are flagship DAPs today that don't have BT receive mode (I'm looking at you AK). On the flip side, wireless headphones would be the most convenient for travel and the audio quality continues to improve. Having said that, I still find the wired output of the WM1z still superior by a fairly large margin against state of the art wireless headphones, even with compressed sources like AAC. Aeskualpio, paulomario77 and Midnstorms like this. Is it a good idea to turn battery saver setting off occasionally to "recalibrate" the battery? Hello. What is the ultimate word, after latest fw update, about WM1A vs WM1Z? I'm choosing between the two, WM1Z would be a mighty madness on my part in regards to budget (I just got TA-ZH1es), but if it's the one to get I could wait and aim to that. I'm also fearing that Sony will announce new models soon, it's Walkman 40th after all this year. Which time of the year would that happen in your opinion? But as portable listening will be minor in my listening routine (mainly will use the WM as transport to zh1es) I wonder if it's worth it. If budget wasn't an issue, I would get wm1z just for the gold plated and heavy copper chassis... must be beautiful. I'd like to know something more about sound comparison, I've read many reviews but I know it changed quite a bit with latest fw update. If you will be using the 1A/1Z as transport to the TA, then go for the 1A as the 1Z will make no difference there. If you have portability in mind - the 1A is the better choice again, as it’s much lighter than the 1Z. The 1Z is the better sounding DAP (better internals, cables and all), but some say it’s just different from the 1A and not necessarily better, but only you can be the judge of that. To my ears it is better, but is it worth the difference in price? I use the 1A as a transport to the TA, or as a DAP with my IEMs and I’m perfectly happy with it. Aries Mini is a very interesting product. I'm just attracted by the sleekness of a full Sony set-up. Also space is a constraint, I put the Sony dock or the Auralic. 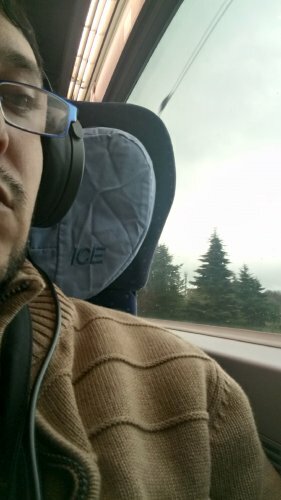 Have you by chance compared the performance of them as transport to zh1es? I suppose the Auralic would be more convenient to use with its app, when seating on sofa compared to the docked walkman (even if 99% of times I listen to full albums).